The histories told at many old European wineries are often drenched in romance, pulsing with charm, and riddled with inaccuracy–or embellishment, at least. 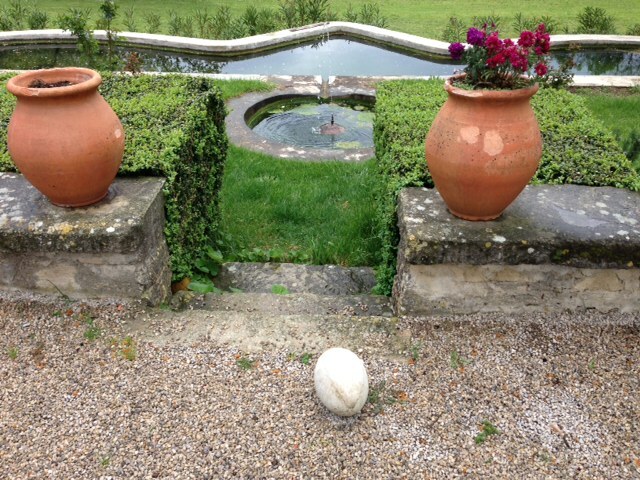 That’s why a visit to Chateau de Saint Cosme in Gigondas is so refreshing. Owner and winemaker Louis Barruol appreciates the work that his family has done for hundreds of years on this property, but he is not willing to pave over the truth. Standing in a vineyard named Le Claux, with a harsh mistral blowing, Louis surprises his guests. 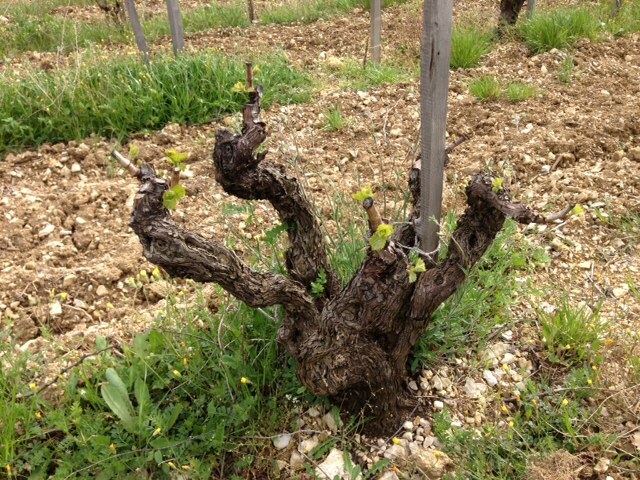 This is a vineyard that was planted in 1870, and it has been preserved; the gnarled fingers of vines produce minuscule crops of Grenache each year. The vines have seen generations come and go. The romantic idea would be that Barruol’s predecessors fought to preserve this vineyard for more than a century, recognizing its quality from the start. Not enough fruit! As vines age, their vigor tends to decline. Here we were, standing in a vineyard that was indicted for lack of productivity… 99 years ago. I wondered what it could possibly be producing now. So what happened? “My uncle died during the war, before he could pull out the vines,” Louis says matter-of-factly. Later he will be happy to produce letters written by his great uncle, expressing disappointment in the property. Things change, and how. 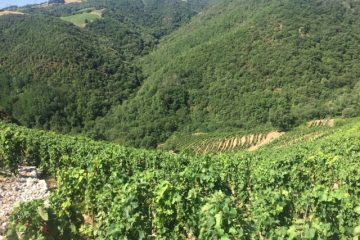 Le Claux is now heralded as one of the finest Grenache vineyards in the world, thanks in no small part to the complexity that Louis says comes from these tangled stumps. Chateau de Saint Cosme is one of the hottest properties in the wine world, and a tour of the land reveals much more than can be found in a 750- milliliter bottle. This estate in the southern Rhone Valley offers a standard Gigondas cuvee, along with a relatively new line of single-vineyard bottlings. (Saint Cosme is also a burgeoning negociant, and produces estate white wines as well.) Barruol is not only setting the standard for Gigondas; he is setting new standards on a nearly annual basis. I wanted to know how he was doing it. We’re walking down a path that grows narrower, and I’m trying to keep up with Barruol. It’s been a hot week, but with the mistral ripping, it’s cold. Barruol, 44 and still an active rugby player in nearby Vaison-la-Romaine, is wearing shorts and a sweatshirt. He’s comfortable and ebullient. I’m much more heavily layered, and shivering. We’re taking this diversion so Barruol can show the evidence of the ancient Roman spring that courses through the property. There are 400 meters of underground tunnels that have to be restored every 30 years. 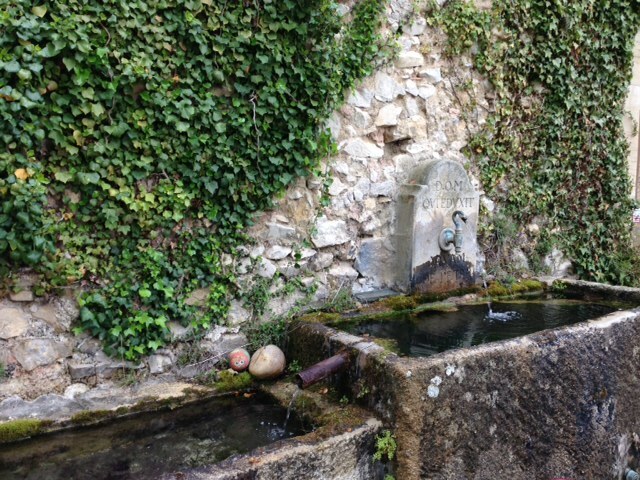 Barruol has spent a lot of money to preserve the spring, even though water is now available by the turn of a faucet handle. The easy thing to do would be to allow the springs to naturally crumble, but Barruol shakes his head. “When you find something that makes your work easier, you should ask yourself if it will truly make the results better,” he says. As with much of what Barruol says, there is application beyond winemaking. “You’re not talking about wine, are you?” I ask him. 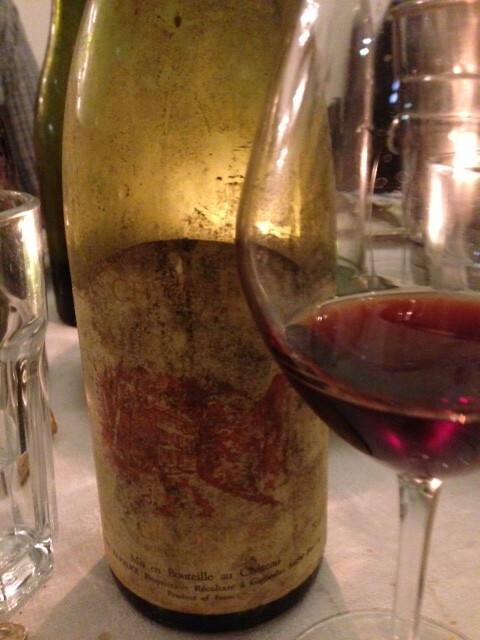 If the Saint Cosme cellar feels retrograde — and it does, its rows of bottles lacquered with dirt — it also feels appropriate. Barruol has collected old family letters and documents. He has created a small museum that features objects found on the property: 2nd century oil lamps, water pitchers, Roman coins, a 5000-year-old axe, and 25 vats dating to around 100 AD, apparently owned by a man named Cornelius. 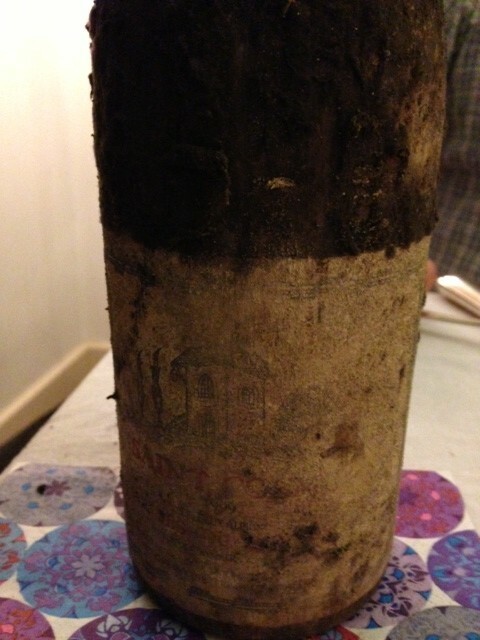 Why shouldn’t the modern wines age alongside these ancient pieces? There is a congruence in the dust. Barruol is particularly fond of a stone head dating to 300 BC that was discovered by his father. Louis was seven years old when his father was mowing in one of the vineyards and ran over the head. But does any of this make the Saint-Cosme wine better? It’s not that late in the afternoon when the sun has already dropped out of view. When I point this out, Barruol nods slowly. “Isn’t that wonderful?” he says. In Gigondas, vines can be punished by too much intense sun during the long summer days. That’s why there’s so much variation among wines from the appellation: some are fresh and pure, while others are hot, singed with high levels of alcohol and stewed fruit flavors. Barruol points to the mountains for an explanation. Chateau de Saint Cosme is not located on the Gigondas valley floor, where the unabated sun can scorch the fruit. Instead, Barruol’s property is elevated and tucked against the hills, which are crowned by the stunning Dentelles-de-Montmirail. The Dentelles are a mountain range consisting of jagged limestone protrusions. Winemakers credit the Dentelles for the cascade of limestone that has married with the sand and marl of the appellation. At Saint Cosme, the mountains offer something else: shade. 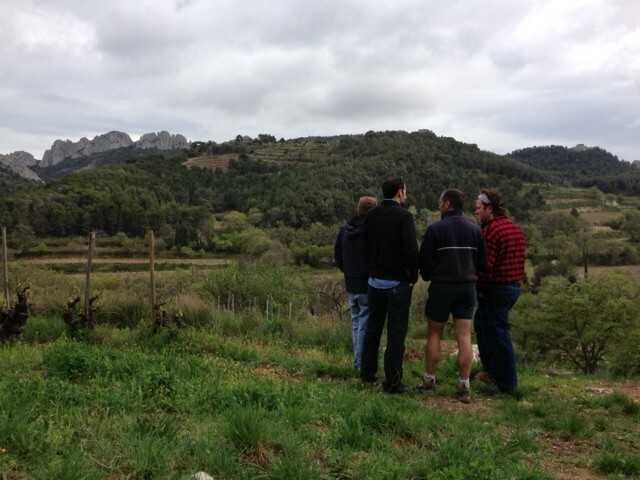 “The Dentelles rob one hour of sun from us each day, a fantastic benefit!” Louis explains. “In a Mediterranean climate, you want a cold corner, because the summers can be brutal.” When some winemakers in Gigondas are forced to pick to avoid off- balance wines, Barruol can be patient, allowing his vines to add complexity and nuance to the fruit’s flavors. Le Claux, that vineyard that will soon celebrate 100 years of the great near miss, tends to produce racy Grenache. But make no mistake: Barruol does not make small wines. 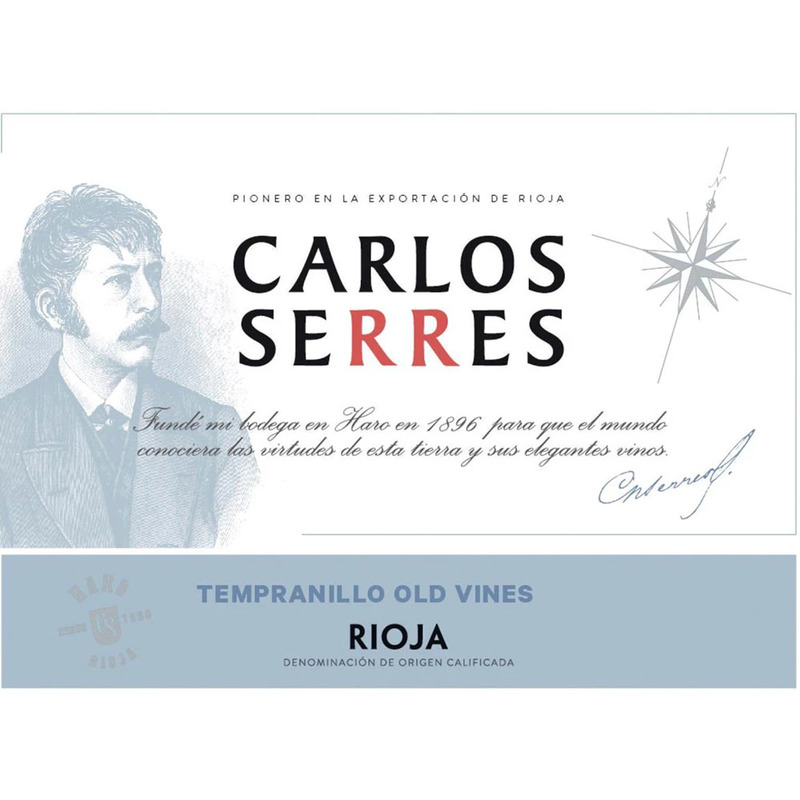 His bottlings are rich, structured, and buoyed by acidity. 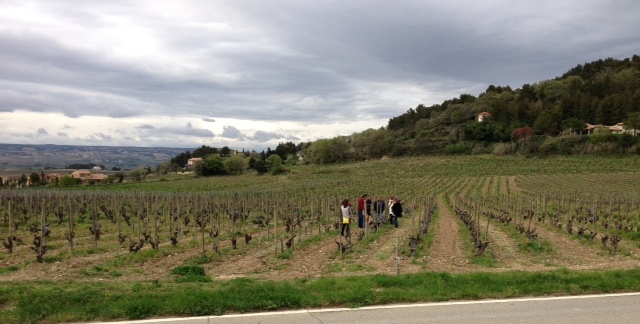 Hominis Fides is a vineyard that produces the most dense and brooding Gigondas at Saint Cosme. We jaunt across Hominis, carving into the mistral, then we make the climb to Le Poste. This is less a vineyard and more a series of shelves onto which Barruol’s father planted vines in 1963. It is the Saint Cosme vineyard tucked closest to the Dentelles, and from here, staring up at the limestone feels like standing at the base of an altar. Le Poste gets the least sun and is the highest elevation at 280 meters, 140 meters above the Gigondas valley floor. Single-vineyard wines have become ubiquitous across Europe and the United States, and it’s often difficult to understand the point, other than a chance to elevate prices. 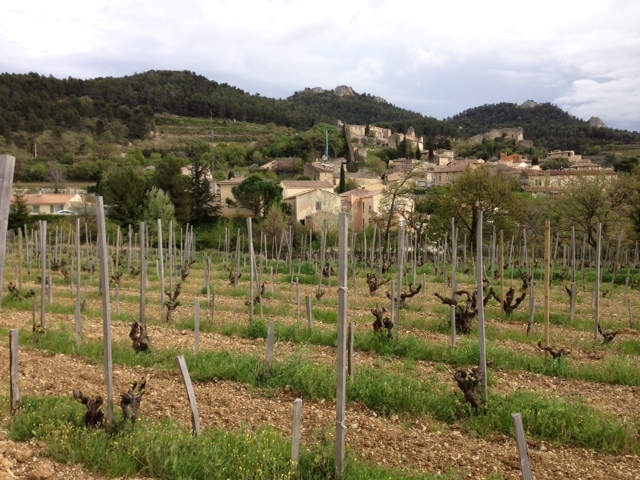 At Saint Cosme, the vineyards are distinctive, and it shows up in the wines. Le Poste is the youngest, but I wonder if it will eventually be known as the finest, benefitting the most from this cold corner of Gigondas. By the time I give up on the GPS and ask for directions to the rugby field in Vaison-la- Romaine, Louis is out of the game. As I approach the pitch, he greets me with a faux sneer and muses, “You are too late.” I wanted to see Barruol take someone out, but he’s given way for the younger players on his squad. We nurse a beer on the sideline. I want to know: Why rugby? Back home, Louis’ son has left rugby balls around the house, and a poster of Chabal, one of France’s most famous players, hangs on his wall. It’s another instance of contrast: a carefully preserved estate dotted with Roman architecture and artifacts, with modern sporting heroes emblazoned on the walls. Somewhere nearby, there is a cello, but Louis is reluctant to pull it out and play. He is deferential about his ability. It seems to me that Louis is a man in search of beauty. This might explain why Saint Cosme is the winery it is today. Louis’ father had gradually begun to move the direction of Saint Cosme from the bulk wine business to the high- end arena. Louis made his first wines here in 1991, then took over in 1992 and made a dramatic shift to focus on quality. In 1997 he added a negociant arm to the Saint Cosme operation, producing wines from the Northern Rhone. His lust for challenge included trying to break Rhone wines into the Asian market, where Bordeaux and Burgundy have thrived. 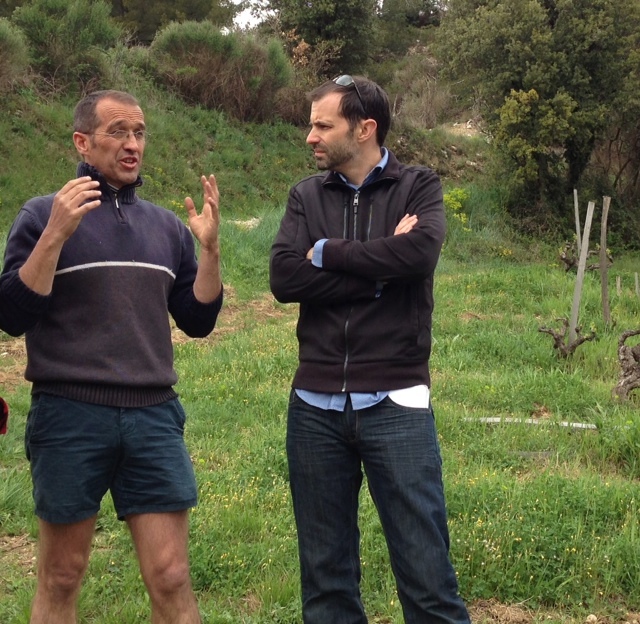 Alongside fellow vignerons Rudi de Pins of Montfaucon and Frédéric Chaudière of Chateau Pesquié in Côtes du Ventoux, Barruol helped create the “Rhone Gang.” According to the gang’s fourth member, wine industry professional Arnaud de la Chanonie, Asian importers coined the name for the group. A YouTube video, while grainy, offers evidence that Barruol and his friends dressed up in suspenders and ties and sang loud, possibly inebriated karaoke in a Tokyo restaurant. And it was a challenge that Barruol and the gang met with great success. One of their importers, introduced as Mr. Yamazaki, would join us later in the week on the Mediterranean Sea to dine on bouillaibasse and talk business. Mr. Yamazaki is renowned for his collection of Domaine de la Romanee Conti; he is now also a Rhone wine addict. The latest challenge has taken Barruol to the Finger Lakes of New York State, where his joint venture (Forge Wine Cellars) is aiming to produce world-class Riesling and Pinot Noir. His peripatetic harvest season now includes a whirlwind trip to Seneca Lake. But in the midst of these offshoot business ventures and pursuits (did I mention yet that he helped write a book about Gigondas? ), Barruol remains committed to the wines grown next to the house in which he grew up. He admits that if he didn’t maintain this drive, he would quit the industry altogether. Our discussion drifts into territory that many winemakers rarely visit. We talk about legacy and impact on society, and whether winemaking — or writing — is a valid use of one’s talents, particularly in a world filled with human suffering. It’s a conversation that runs late into the evening and continues via email. It’s a conversation we are still having. Then he chides me for opening his wines before they’re ready. I concede the point; I wouldn’t knock on Pavarotti’s hotel room door at 3am and expect him to jump up and belt out Caruso. Barruol appreciates the wisdom that comes with time. He hopes his customers do, too. 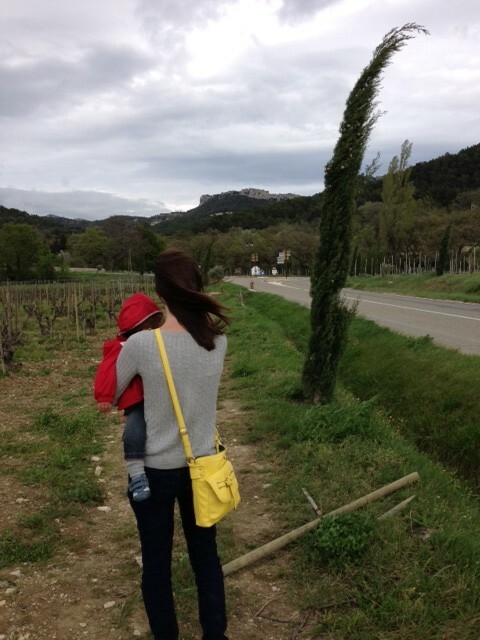 My journey to Gigondas was meant to help me understand what makes Chateau de Saint Cosme wines so special. I returned to the States feeling like I understand completely, and yet I feel utterly unable to articulate it in the matter of a single paragraph or column. This is, it seems, a failure on behalf of the writer. We’re all busy people. No one appreciates endless verbiage. But if you’re looking for a single key to the success of Saint Cosme, you won’t find it. Instead, you’ll find a man in love with history and its preservation. You’ll find some of the most remarkable vineyards in the world. 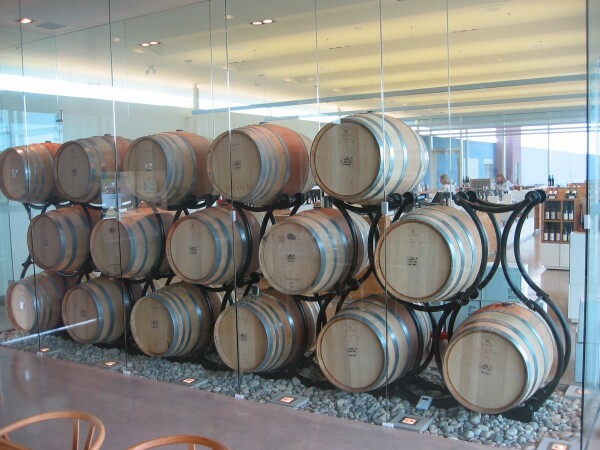 You’ll find artifacts carefully preserved, wines carefully preserved, and a devotion to quality going forward. You’ll also find a rugby ball and a scrubby cat on the front lawn, and if you ask nicely enough, you might convince Louis to find his cello. Most of all, you’ll find a calming sense of balance and beauty, an appreciation of the gifts of man, a mordant wit, and a refusal to compromise. Louis might not share his cello, but fortunately for us, he continues to share his wine. This column about Louis Barruol resonated with my recent musings about the quip: “Wine–the universe in a glass.” The power of connections, whether apparent or hidden, creates a depth and richness more likely to be experienced than described. Nonetheless, not too shabby descriptions! Thanks for pushing the boundaries. Thanks for telling this story Evan. Bravo! James – Thanks for sharing your thoughts here. Louis does indeed push boundaries. I don’t know how else to describe a winemaker who is thinking about Jewish prisoners and broken violins. He makes you think. Evan—the mystery/magic of “terroir” may only be matched by the the power of “character.” The complexity of Louis’s character is matched only by his apparent drive to make each aspect of that character tangible and significant. I have no doubt that his wines reflect some dimensions of that character. Again, hard to put into words but I liked the way you wrestled with the challenge. Fantastic ongoing story; It made me guilty for feeling like any position in the wine industry is a “job”. If only I could strive to have that kind of passion and vigor. I turn the same question over in my head more than I’d like to admit. Three weeks ago I wrote a small piece on my blog about Chateau de Saint Cosme’s 2009 Gigondas. What’s interesting is that I wrote expressly about the wine with regard to someone hurting/suffering. Having now read your column, I think Louis might be interested to know the influence and impact of his wine . Not sure if you can pass it along to him but, if so, the link is http://sheripattillo.com/2013/07/17/disequilibrium/ . Hope it brings him (and you) a smile. Mission accomplished with me, Sheri. Thanks so much for sharing it. I’m passing it along to Louis.